After Military and Denim, the third collection by Bugaboo and iconic lifestyle brand Diesel has been launched. Christened, Bugaboo by Diesel Rock, it is a complete city stroller that allows parents to explore the urban jungle with ease. Mommies and Daddies clad in their leather jackets can re-live their ‘rocker days’ as they step out with their child tucked in this rock ‘n’ roll style stroller. 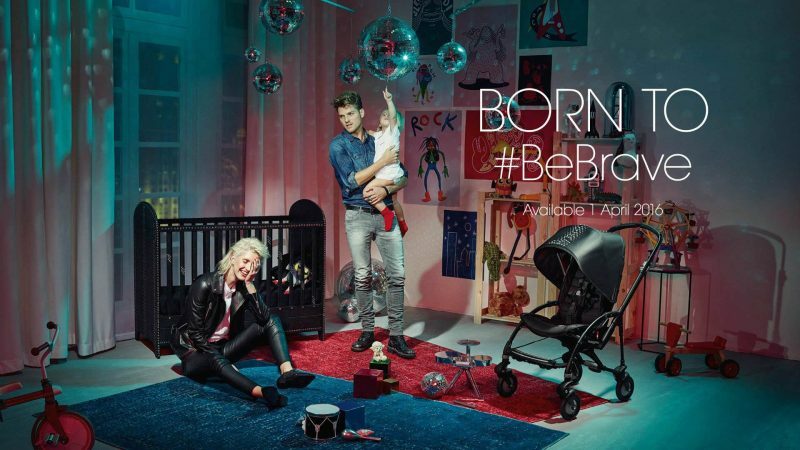 Edgy yet stylish, the Bugaboo by Diesel Rock collection comprises of a complete Bugaboo Bee³ stroller, a Bassinet Tailored Fabric Set for the Bugaboo Bee³, and a Bugaboo by Diesel Footmuff, suitable for all Bugaboo strollers. Effortlessly bringing the worlds of parenting and fashion under its hood, it rolls in with an easy-to-carry lightweight bassinet for newborns and a unique seat that grows with the child. This special edition stroller comes in a black anodized chassis fitted with Diesel wheel caps, a black/silver colored footrest, a leather-look handlebar and grey/silver-colored functional buttons. 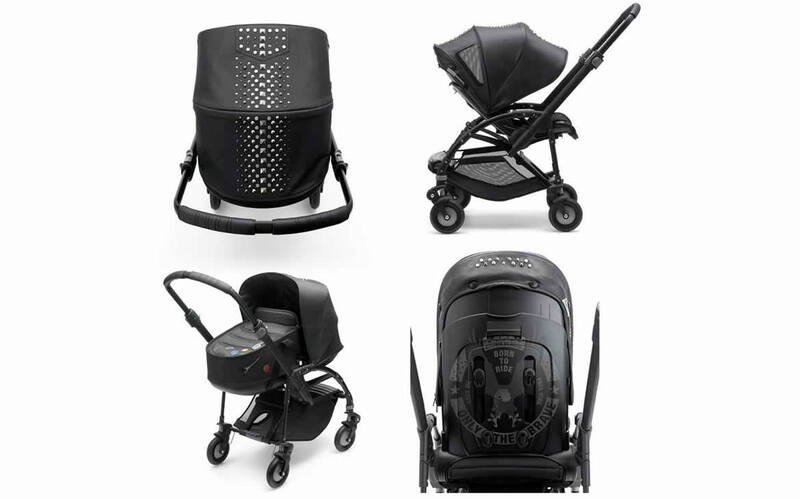 Featuring a wax-coated fabric, leather look and rock-inspired studs, the all-black stroller rocks as the most trendy with a laser-printed backrest tattoo that reads ‘Only the Brave’ in true Diesel style. 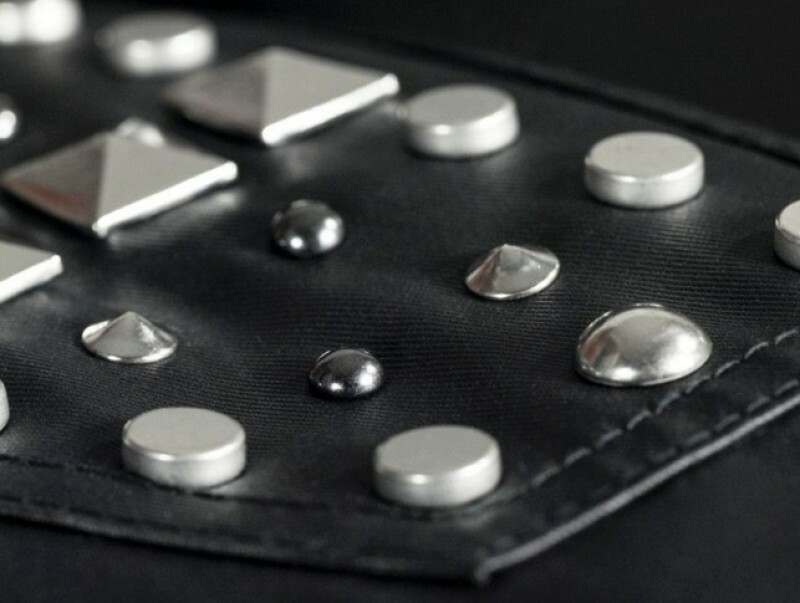 The Bugaboo by Diesel Rock collection will be available at selected retailers and online from April 2016. While the Bugaboo Bee3 by Diesel Rock will sport a $919 tag, the complementing Bassinet Tailored Fabric Set will be priced at $140 and the Footmuff at $175.